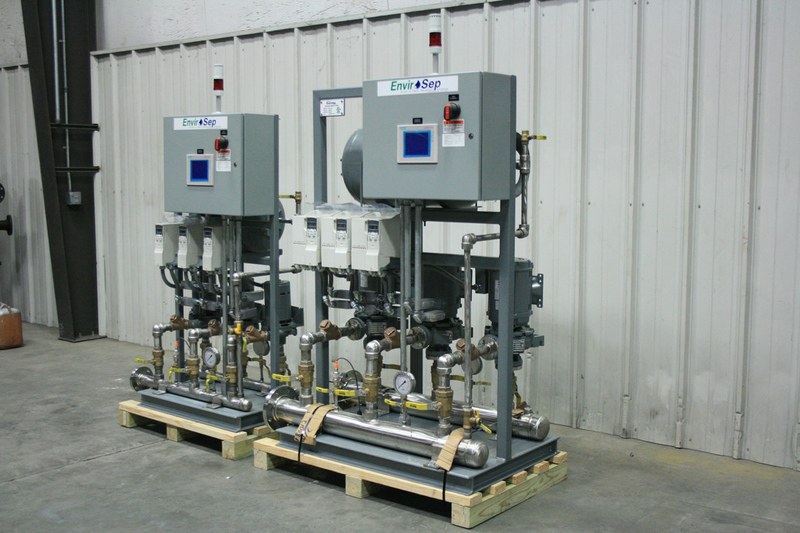 Enviro BOOST™, Domestic Water Booster Pump Packages are simple and accurate manufactured, ready-to-install systems designed to address the pressure needs of commercial potable water systems. Designed to boost supplied water pressure to a predetermined 60 psig (depending on required output). Enviro BOOST™ is constructed of stainless steel, copper, and bronze components, making it ideal for Domestic Water use. Capable of handling a wide range of water flowrates and pressures, while being custom-tailored to your specific site needs, makes this system an ideal choice for either new or retrofit installations. All EnviroBOOST™ packages are capable of providing up to 60 PSID pressure boosting capacity. For other flow rates, pressures, voltages, or configurations please consult the factory. Ready to install, complete prepackaged engineered system saving time and money. Space saving size, effectively designed with a small footprint to minimize floor space. Versatility, 14 different standard sizes and configurations ranging from 60 to 900 GPM, are available to suit your boosting needs. Performance, instantaneous variable speed performance means no buffer tank needed. Energy-savings, thru energy efficient variable speed controls. UL-Listed, packaged pumping system and industrial control panel.